Smoothwall Optimum | Optimum safety and savings | Smoothwall, Inc.
Purchase our full digital safeguarding suite to become a Smoothwall Optimum customer. 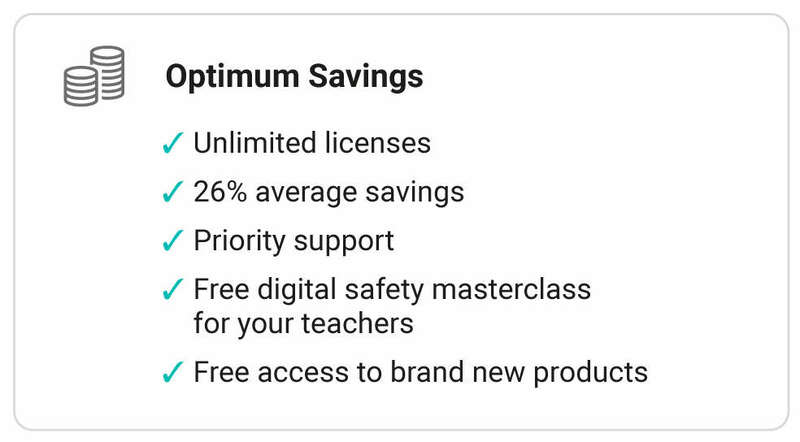 A Smoothwall Optimum customer benefits from maximum discounts, priority support, unlimited licenses, full access to newly launched products and more. 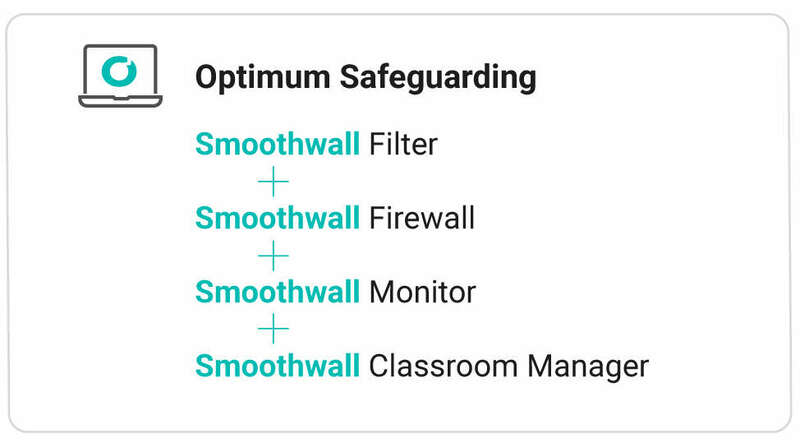 Deployed together, Smoothwall Filter, Firewall, Monitor, and Classroom Manager give your school end-to-end digital safety. They help you prevent harmful content before it’s seen, predict incidents before they become real, and ensure students leverage the full benefit of internet learning without losing focus. You can purchase everything together or journey towards Optimum safeguarding over time. Whatever works best for your school. With each additional solution you adopt, your school saves money not only on your new solution but on your existing one too. More = less. Journey towards all four solutions to achieve maximum, unparalleled cost savings*. With just one digital safeguarding provider, you have only one contract to manage, one point of contact, and one support team taking care of your school district’s entire digital safety provision. Working together to keep your students safe, your school compliant, and your budgets on track. *Compared to a like for like total solution from another provider.